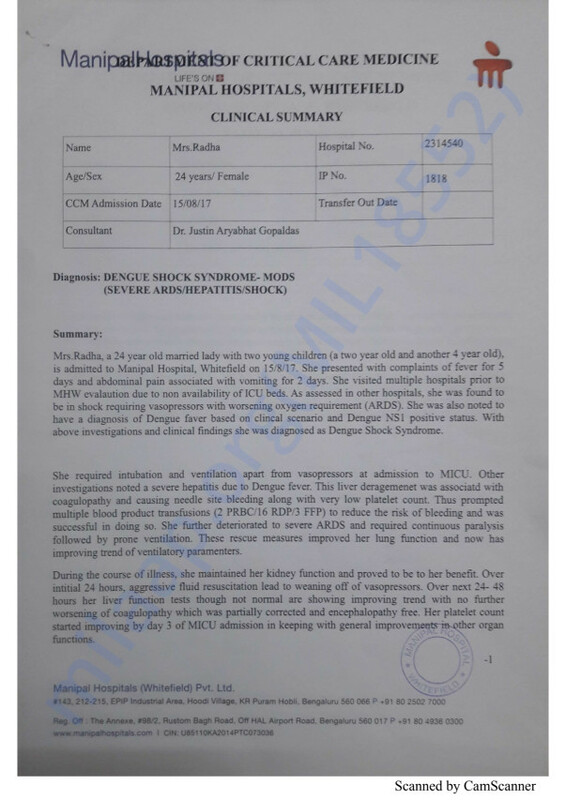 Radha, my sister is suffering from Dengue shock syndrome and Hepatitis. She is married and has two children. She is required intubation and ventilation apart from vasopressers at admission to MICU at Manipal Hospitals Whitefield. Other investigations from doctors noted that liver deragement was associated with coagulopathy and causing bleeding internally. Lungs functionality has gone down drastically but there is a little improvement. 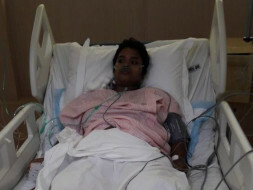 Due to the internal bleeding, there was a blood clot in the upper part of leg which has been operated and removed. However there is some improvement, liver and lungs functionality hasn't yet become normal. She needs to be im MICU for few more days as per doctor's advice. 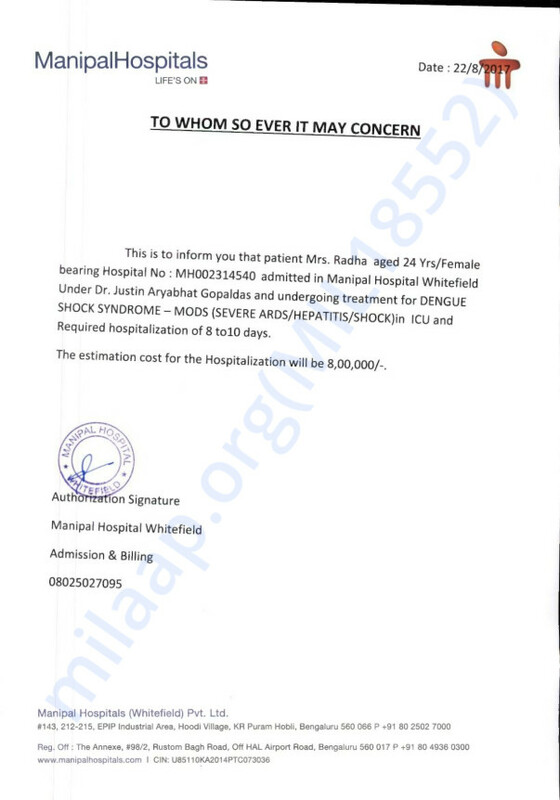 It would cost around 6lac rupees for the treatment. We are financially backward and could not afford the medical costs for the treatment. 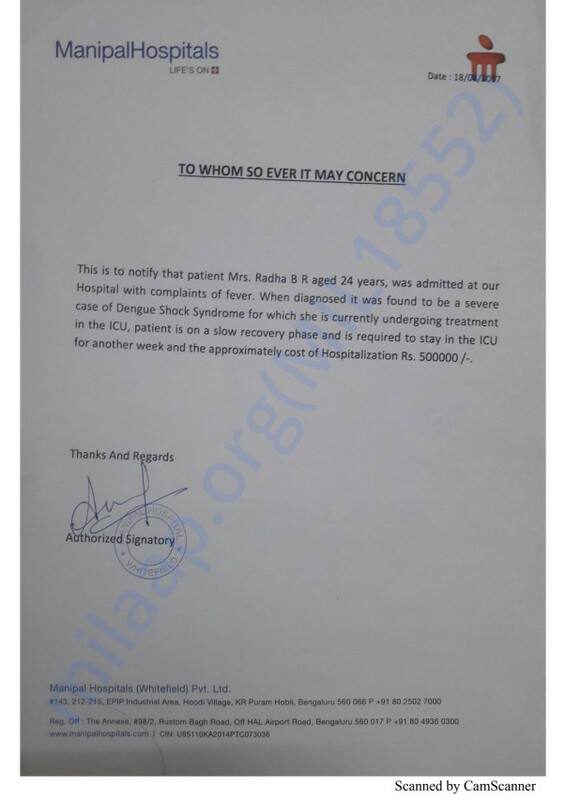 We are looking for people to support us financially to get Radha home. We have some news to share. 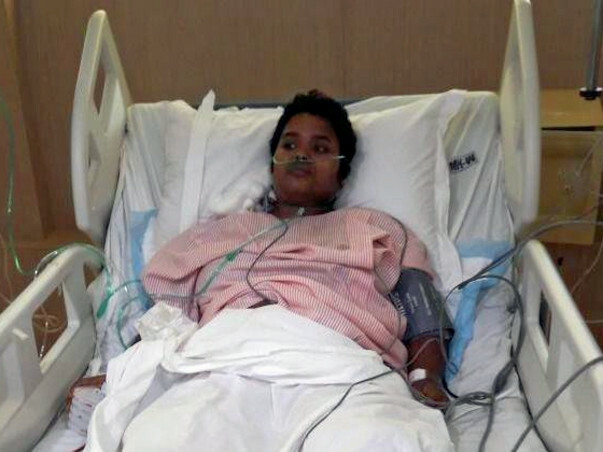 Radha has completed her treatment and has been discharged from the hospital. All her hospital bills are cleared and the funds remaining is going to be utilized for https://milaap.org/fundraisers/jamini-khatun. We would like to thank you all for the support you have provided.